Its been almost five years since my last rental car review, not that I haven't rented any over the past years. 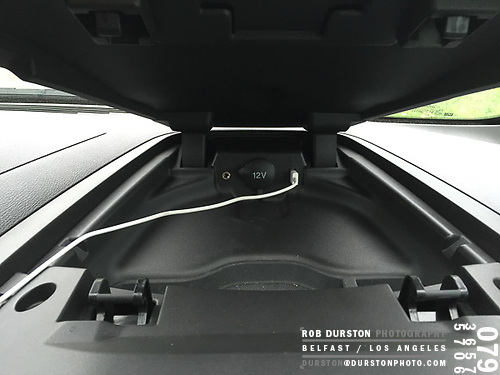 Anytime I have a big shoot or need to travel longer distances, I prefer to put the miles on someone else's vehicle. Since most of my rentals are for longer distances, I like to rent diesels when available. They are usually hard to come by and I only happen upon them by chance. 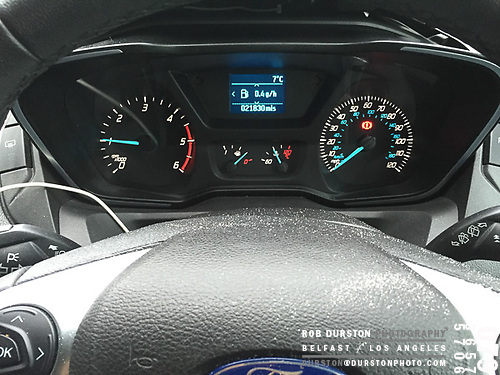 The difference in fuel economy can be almost double depending on the car. For a recent project I was back on the phone to my local hire spot. I didn't want to spend much as the budget was barely covering the mileage. Due to some unforeseen circumstances I also had an extra body coming along for the ride (a model), so I really couldn't just opt for an economy tiny car. I called up my rental guy and booked a "small" car. 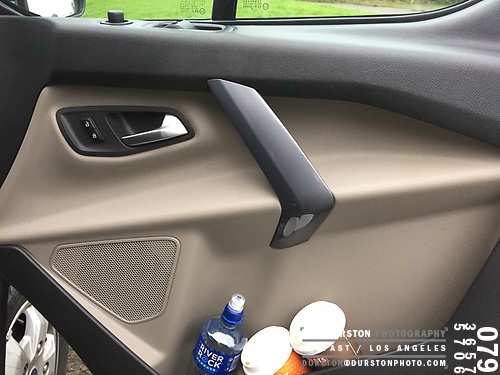 Not thinking much more about it, I started running through the project in my mind about what gear was going to be needed on location and it quickly escalated into much more than a small hatchback might handle. It was right about then, when the phone rang. 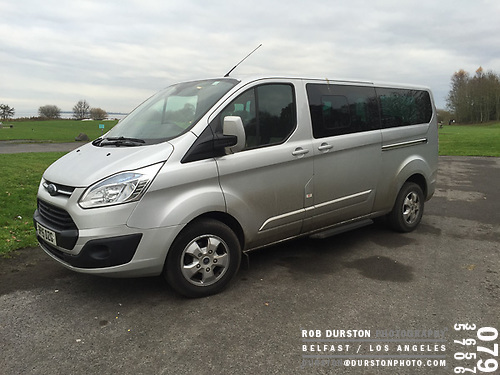 The car hire place couldn't supply a small hatchback but they could offer me a diesel Ford Tourneo van instead. . . hmmmm, let me think for a minute, "uh ya". 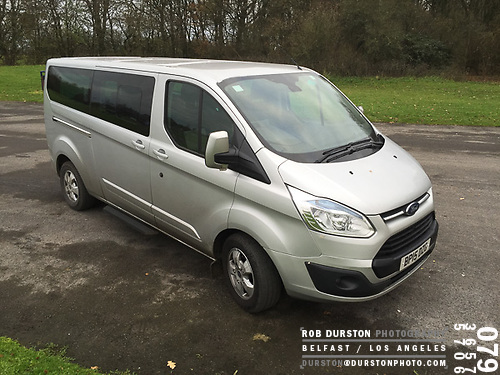 The Tourneo is an eight seat van based on the Ford Transit; basically a Transit converted to a people carrier, with insulation, proper seating, controls, ventilation and windows. 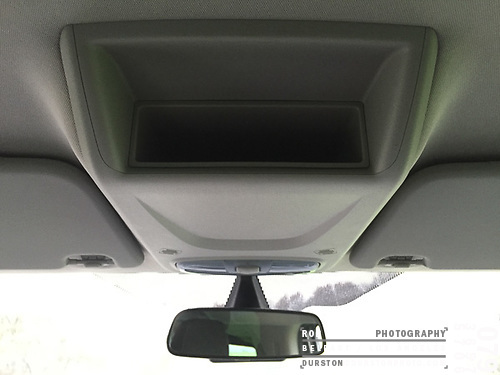 This particular van was a 2015 model and with relatively low miles on it. 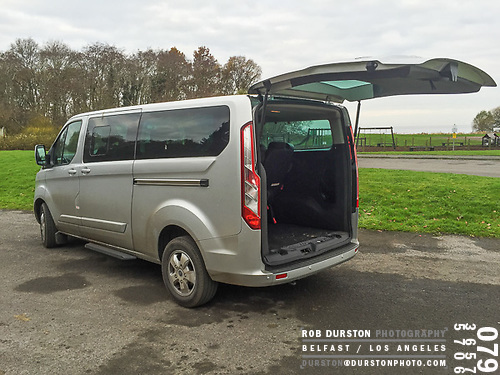 The big bonus for us, travelling in it with all the added cargo space besides what the seats we were going to occupy. I was able to pack away my cameras, back ups, laptop system, tripod and any extras without any trouble. Getting up and into the driver's seat is a bit of a jump if you are used to driving around in cars all the time but once you're up there. . . . you're really up there. The added height of the driver's position is a great thing; allowing you to look further down the road and over smaller cars. The steering wheel feels more car like than the Transits I have driven; it gives it a much more automotive feel to the drive than the UPS/FedEx feel of a regular Transit. 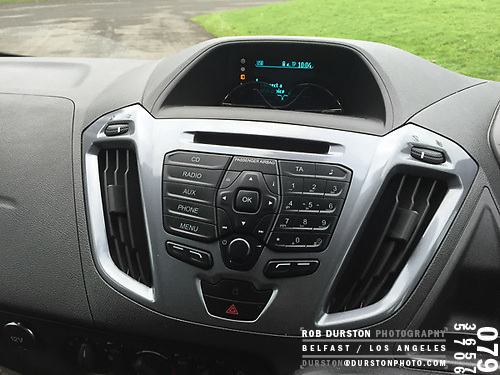 Once in the seat, you have the view of most modern Fords, with an easy to understand layout of gauges, vents, cubby holes and entertainment system. For the passengers we have two rows of three seats each behind the driver's seat to choose from; both with independent ventilation controls. So many seats to pick from you could have five people in here and still be able to stretch out in one of the rows for a nap. 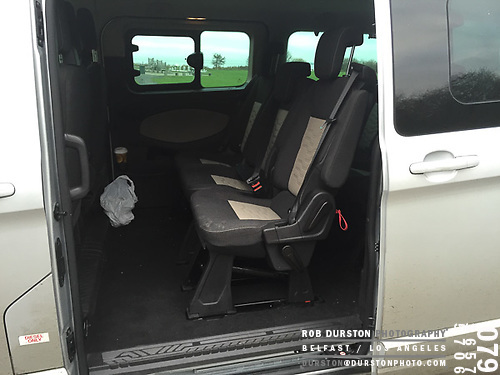 I'm guessing this Tourneo had its seats covered in extra durable cloth for the rental market. Its still comfortable but I would probably take the next upgrade from this option. 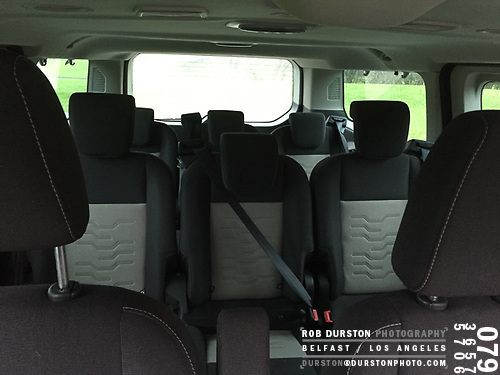 With all this decent comfortable seating, the Tourneo is a great long distance people/production mover. Now with the mileage we cover on projects, the stereo is probably the most important piece of kit outside of comfortable seats. The entertainment system is reasonably laid out and easy enough to understand as long as you follow along with the digital display above it. 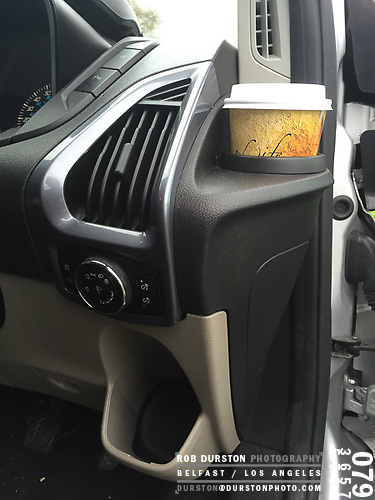 It took me a while to find the USB plug in, its located in a secret cubby holes above the steering wheel. Inside, there is also a 3.5mm jack and a 12v cigarette socket. 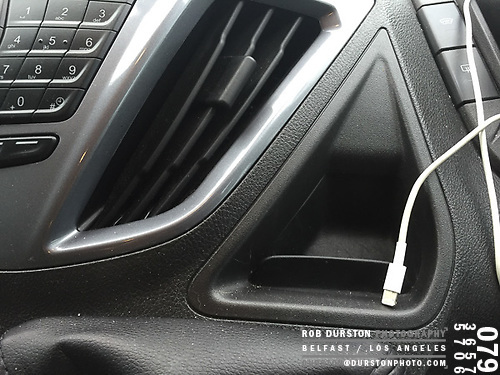 I did have a few problems every now and then, getting back into the van and plugging in my iPhone to the USB only to have nothing coming out of the stereo. I know the cable is good(the phone showed the charging symbol) so it was then a matter of switching over to Bluetooth. The phone system works great in the Toureo and I was surprised at how seamless taking and dialing calls was. 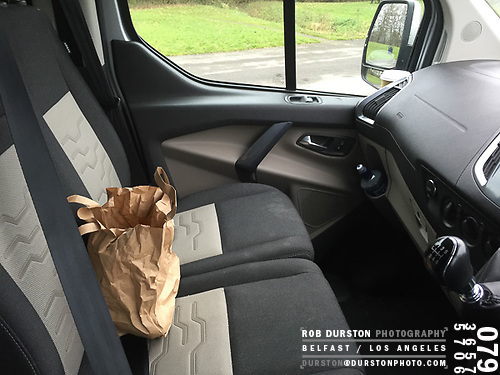 The front seats were good and decently firm; I could easily drive for a few hours without numb bum however a little bit more of side bolstering would be nice, even if it was a bench seat, at least for the driver. The door pull is not very well designed in my mind since you have to twist your wrist to grab it and pull. That might just take a while to get used to but it seemed every time I hopped in the seat and went to pull the door behind me, it always felt awkward. 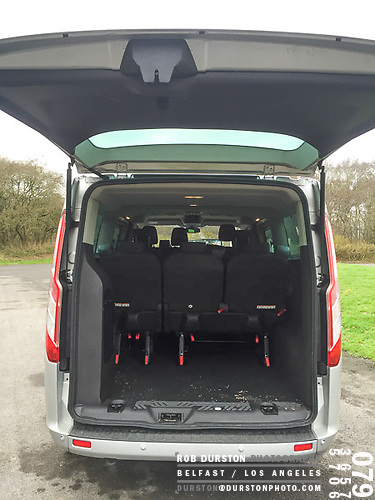 As well as the large accessible front doors and the MASSIVE rear tail gate, the van also comes with a sliding side door on each side of the vehicle. They open wide, wide enough to slide a large Plume 140 soft box in without dissembling it. And lets talk about that rear tail gate, did I mention it was MASSIVE? Be prepared to hoist on it the first few times you open and close it; this is not your mother's Mercedes' trunk lid here. Once open you can easily stand under it for shelter in inclement weather, which we might have a little bit here in Northern Ireland. In conclusion, I'm a fan, there are some things I would change for sure but overall its a great production van.